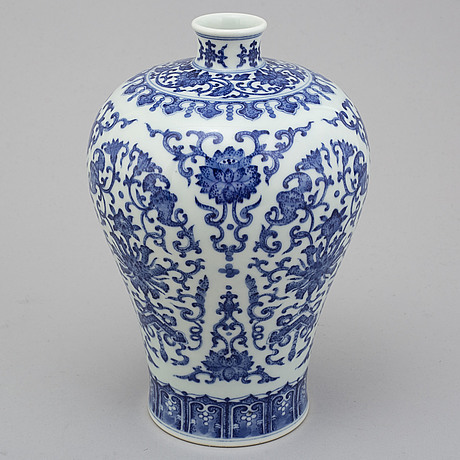 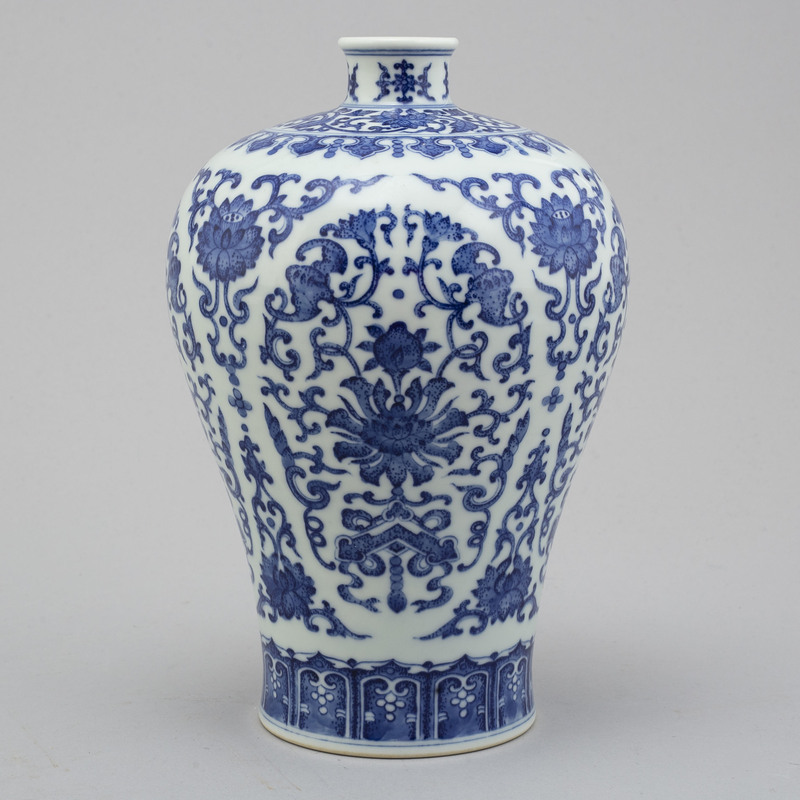 A Chinese blue and white 'meiping' vase, 20th Century. 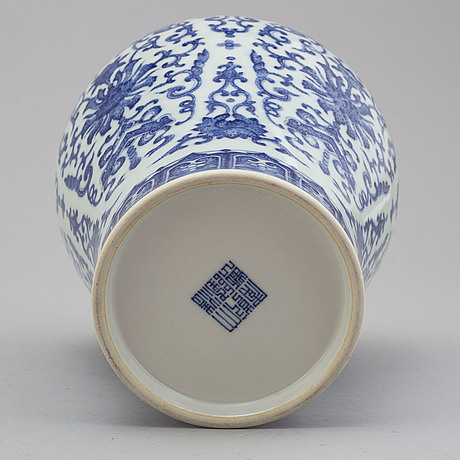 With Qianlong seal mark. 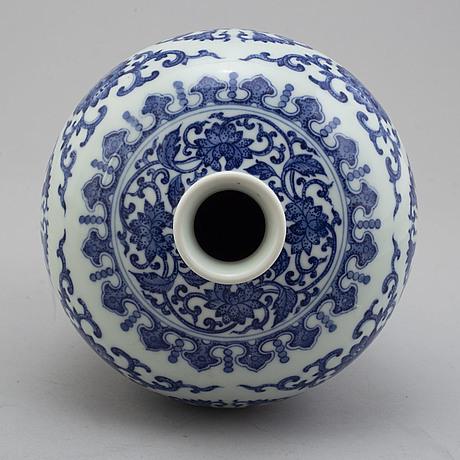 Meiping shape, decorated with lotusscroll and bats. Height 26 cm.